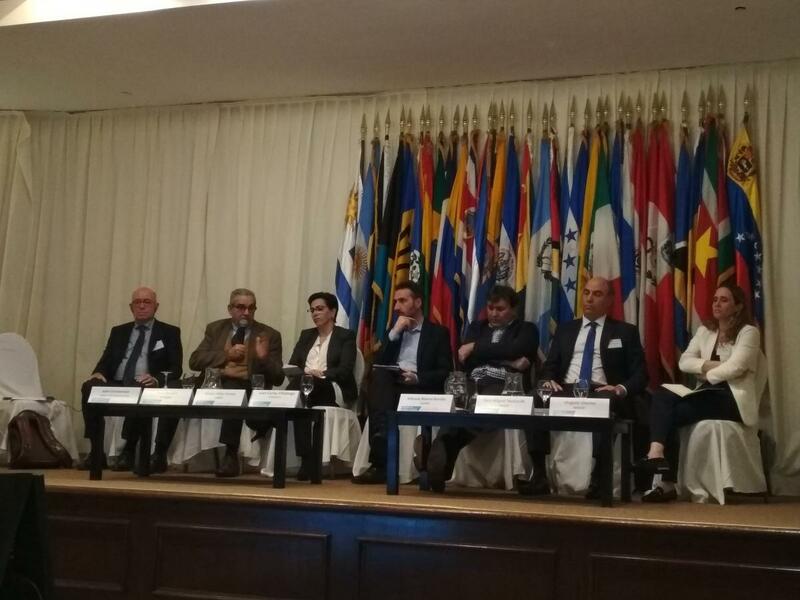 27 August 2018, Uruguay - This year’s Latin American and Caribbean Climate Week (LACCW), hosted in Uruguay from August 20 to 23, pushed global ambitions to address climate change and facilitated important discussion between country representatives, organizations and the private sector on moving forward on Nationally Determined Contributions (NDCs) and synergies to reach the global targets outlined in the 2030 Agenda for Sustainable Development. The project team from the Integrating Agriculture in National Adaptation Plans Programme (Nap-Ag), a joint initiative from FAO and UNDP, took part in the regional Technical Expert Meeting on Adaptation (TEM-A), exploring gaps and needs for adaptation planning, how to include indigenous peoples and vulnerable communities in adaptation planning, and how to scale up adaptation efforts. María del Pilar Bueno, Co-Chair of the UNFCCC Adaptation Committee, and Ignacio Lorenzo, Director of Climate Change in Uruguay, opened the TEM-A session, exploring experiences, knowledge and opportunities for adaptation action in Latin America and the Caribbean. During the discussion the need for enhancing the link between science and policy was highlighted. Regional coordination in adaptation monitoring and climate information services was also identified as a pillar for adaptation action in the region. According to event participants, inclusive approaches to adaptation through inter-disciplinary, inter-institutional and multi-stakeholder action in adaptation – including the assimilation of knowledge and concerns from indigenous peoples and local communities in planning processes – will make adaptation planning more effective. Uruguay´s approach for adaptation planning was presented on the Pitch Hub. On August 21, Cecilia Jones, the National Coordinator in Uruguay, shared impacts and lessons learned from the NAP-Ag Programme. Jones summarized the results of the national consultation, held in 2017, that identified the need to strengthen rural livelihoods by promoting the implementation of sustainable agricultural practices that manage climate risks while preserving the ecosystem services in agriculture. The NAP-Ag programme promotes a development path towards agriculture that is resilient and adapted to climate change, working in 11 countries worldwide to promote informed adaptation planning for the agriculture sector. As part of the Pitch Hub presentation, National Coordinator Myrna Campoleoni presented lessons learned from the Nap Cities and Infrastructure sectoral plan, while National Coordinator Mónica Gómez shared details from the Coastal NAP. During the last day of the LACCW a Talanoa Dialogue was organized to collect inputs from stakeholders on how to reach the Paris Agreement goals in the Latin American and Caribbean Region. The NAP-Ag team contributed to the event as facilitators of the participatory session.